World’s next singer sensation Jasmine is delightful, balanced, well rounded and grounded with high energy, she is best known in the industry as QT Jazz. GetaGetten~theHouseBiz had an opportunity to learn more about the singer, dancer and actress sensation. This young lady is a power house in a small package, with her upcoming radio debut of her new single and video release “Heels & Bags” Jazz writes her own songs, creates the vision for her video’s, she is a college student, does live performances, in commercials, movies and TV shows, and recently she was a host reporter for Sprite P.O.U.R. While this may seem overwhelming to most, for QT Jazz it is all rolled into one. As she explains; for her “it all works together and is very enjoyable”. Jazz has been in the industry since the age of 3, being in a family of entertainers, it was only natural for her to become an artist. 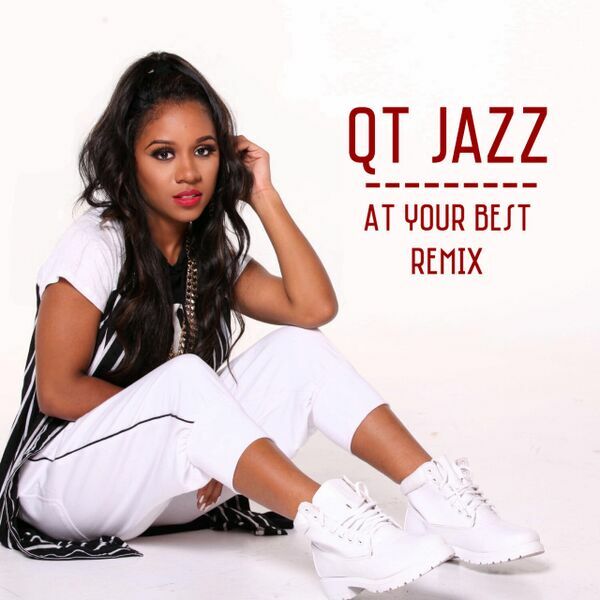 People have compared her to Ciara and Janet Jackson because of dancing ability but, QT Jazz focuses on staying true to her authentic self and describes her style as “popish R&B”. As for peer pressure Jazz says, she doesn’t have time for anything messy. Being focused, she has a clear understanding of how important it is, to earn her spot in the industry. During her opportunity to host report for Sprite P.O.U.R. she mentioned; conducting an interview with Ne-yo had a huge impact on her by the advice he shared to “work the hardest”. From the looks of things Jazz has taking this advice to heart and we are about to witness how she has put it into action. She has a keen awareness of her generation and shared some advice regarding being mindful of eating habits which is; “watch what you are putting into your body because what you put into your body is exactly what you will get out” most importantly “believe in yourself”. For future projects, QT Jazz says she would like to work with Justin Timberlake and Timbaland, create a full make-up line and a reality TV show would be inviting. So sit back relax and enjoy the sounds of QT Jazz; Xscape “Understanding (Remix)” video featuring Zonnique, QT Jazz, Bahja and Kelsie. Show Pop Princess QT Jazz some love.